The Tokyo International Film Festival (TIFF) is gearing up to kick off its 26th edition next month which will run from October 17th to 25th. As with previous years, a few Korean films have made it into the lineup. 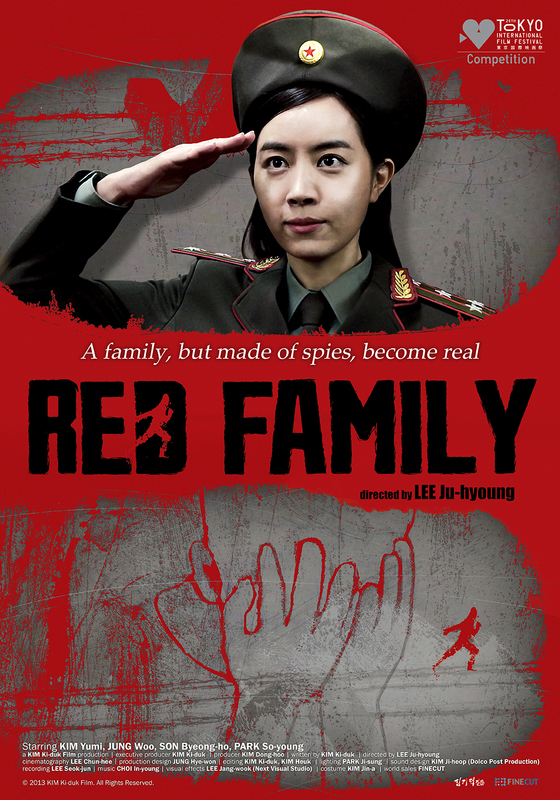 Red Family, which features a group of North Korean spies posing as a family in South Korea, was written and produced by KIM Ki-duk. It will have its world premiere as part of TIFF’s Main Competition. The film was directed by LEE Ju-hyoung and blends an emotional core with humor. Also appearing in TIFF’s program this year will be KIM Jung-hoon’s Tinker Ticker (a.k.a. Stray Dogs), a new feature length graduation project from the Korean Academy of Film Arts (KAFA). Previous KAFA features that have met with success include Bleak Night (2011), End of Animal (2011) and Your Time Is Up. Tinker Ticker follows a bombmaker who meets a detonator. In addition to the Korean films screening at the festival, actress MOON So-ri has also been invited to sit on the jury, which will be headed by Chinese filmmakers CHEN Kaige this year. MOON recently made action comedy The Spy: Undercover Operation, which is currently on release in Korea. One of the top performers at last year's TIFF was KANG Yi-kwan's Juvenile Offender, which won the Speicial Jury Prize and the Best Actor Prize for SEO Young-joo.